Raise your hands!! 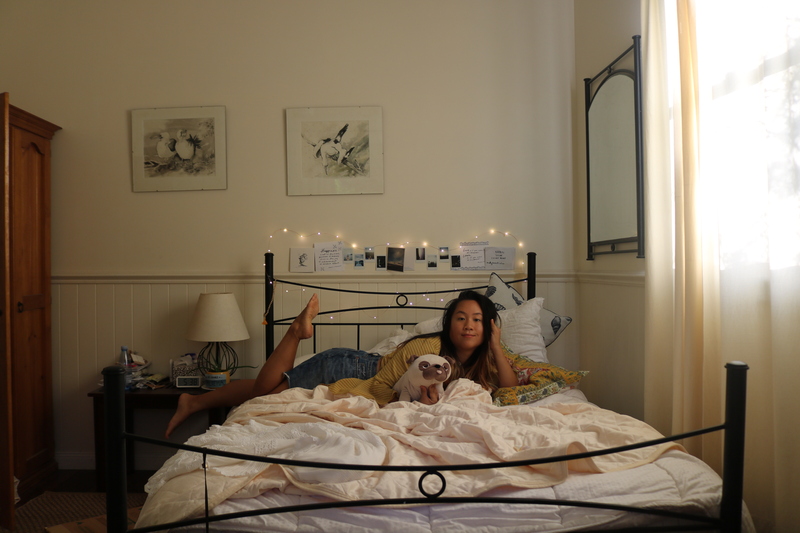 How many of you spend way too long, hours, looking up options, hit up rating sites that don’t really go that much in-depth with their experience, figuring out the best locations, and figuring out where exactly am I going to be staying in Byron Bay tonight? Or what should I even do is Brisbane and where are actual hit spots to see? So this blog post should do the magic in making your life easier to planning your itinerary from Brisbane to Byron, a 2-hour drive road trip that is most definitely worth taking If you’re from (or visiting) Australia! Cause the last thing you want to do is fighting with your boyfriend on where to get Gelato… then end up not getting it cause you took too long… yep I feel you. So let’s get into it, below you’ll find my trip details below on the best locations to spend your time in each location: Byron Bay, Surfers Paradise, & Brisbane. 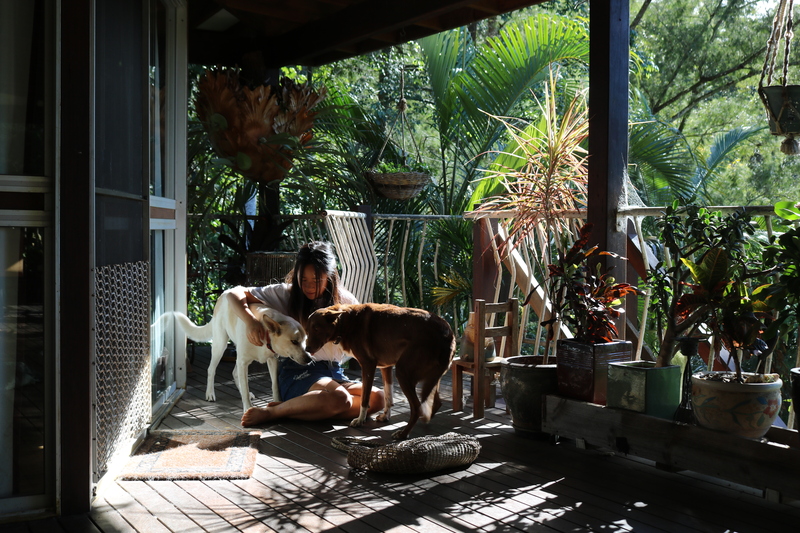 In the heart of Byron lies your dreamiest stay of pure bliss during your next holiday vacation away! 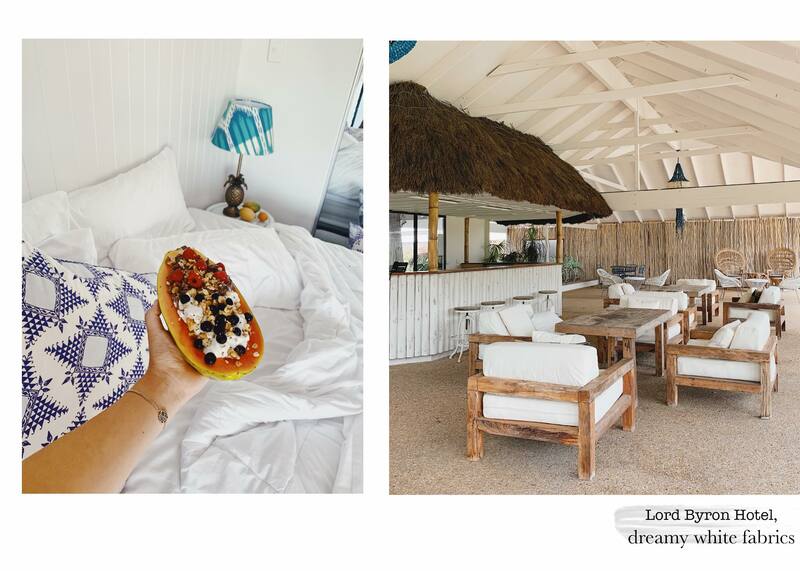 I stayed in Lord Byron Hotel, a boutique hotel that provided me with a stay that resonated with the true Byron experience suited for visitors looking to explore and discover this surf town in Australia. Hands down the best-looking boutique hotel in the bay, I mean, what’s not to love about private balconies, a styling room out of a Pinterest board, and pillows… lots of it!! Its eye-catching aesthetics with ‘fancy facilities’ including a tennis court (che-yah!! ), free bike and surfboard rentals, outdoor pool and heated hot tub, outdoor lounge and bar. If your room isn’t Instagrammable enough then you’re only a block away from exploring the rest of what Byron has to offer. With restaurants, coffee shops, and Byron’s iconic stores like Spell and the Gypsy literally just down the road!! For Coffee Shops nearby, try out The General Store for the best Mocha’s (catch them on the Saturday for their market) or Folk Byron a little farther but with a hip spot to chill out and have a nice coffee. Take a bike and ride up to the Pass for sunset and if you’re feeling for a it of an adventure, walk your way to Watego’s and climb up to the lighthouse – trust me, it’s worth it!! For shopping, of course, you have to stop by Spell and the Gypsy which they have two locations in Byron. Other shops like Thrills and Afends are also total Byron brands. Lastly, find yourself a Stone and Wood beer at the new S&W headquarters. 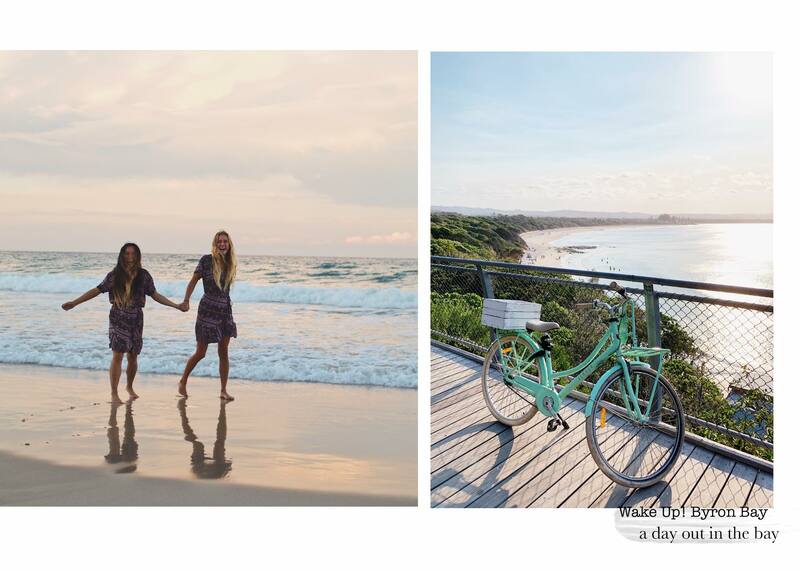 The best-priced & new stay for anyone on a budget traveling in Byron. Conveniently located right on Belongil Beach, indulge in a little slice of seaside vibes with their private double ensuite with an ocean vibe. This newly refurbished property offers modern, quality accommodation while maintaining the bohemian beach vibe of Byron Bay. Their communal areas decked out in artwork and cute cushions make it a cozy place to whip out your laptop or notebook and do some writing. Depending on which days you stay, Wake Up! Byron always has activities going on such as free yoga, personal training, a sunrise lighthouse tour, bike rentals and more! I personally loved that their location is tucked away a bit of the outskirt of town, meaning you get some peace and quiet yet can hit right into the busy streets just a 10-minute bike ride away. I would recommend taking the scenic route to town by walking across Belongil. Location-wise you couldn’t get any better in Surfers. 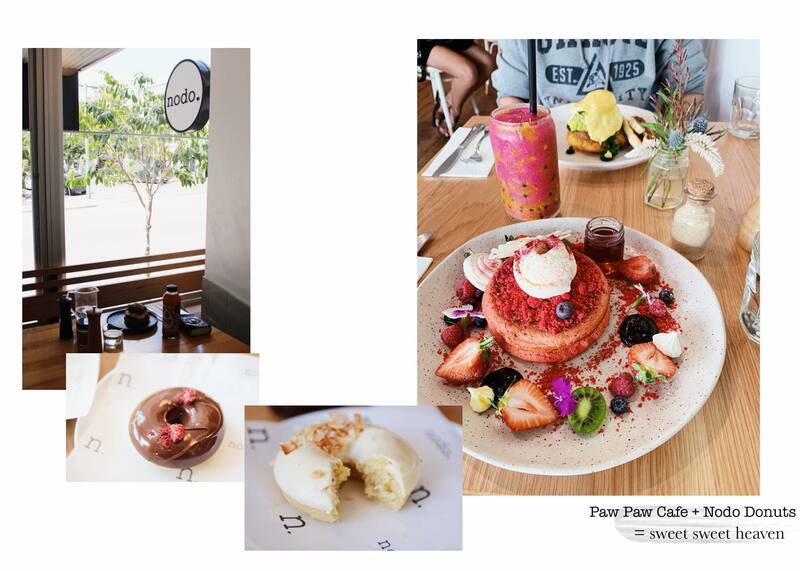 Right in town with access to all, there is to see with street cafes, restaurants, fashion boutiques, and dessert bars – there’s certainly enough to keep your taste buds busy! Being close to the waterfront means Bunk Surfers is also fantastic for taking day walks to the ocean. I stayed in the Double Ensuite on the 5th floor where the room was totally upstaged by the view out the large windows with natural lighting peering through every morning made for a great space to just lounge in with take out on the rainy days. The room was the perfect size for two. Just a stone’s throw away from Bunk Surfers is my recommend choice of food and a people’s favorite – Cheese and Pasta. During my time in Surfers, it rained pretty much most of the days so all I wanted to do was snuggle up and eat comfort food. Luckily Salt Meats Cheese was next door cooking up a storm of delicious kinds of pasta mixed with heavenly cheese, can’t forget served with a glass of wine! This family-owned restaurant is cozy and casual, bringing in the Italy vibes with a welcoming staff, open space atmosphere, and gourmet home-cooked meals. I finally got to experience their special of the day which was The Flaming cheese wheel – pasta served at the table in big wheel of parmesan – that’s hard to pass up on!! 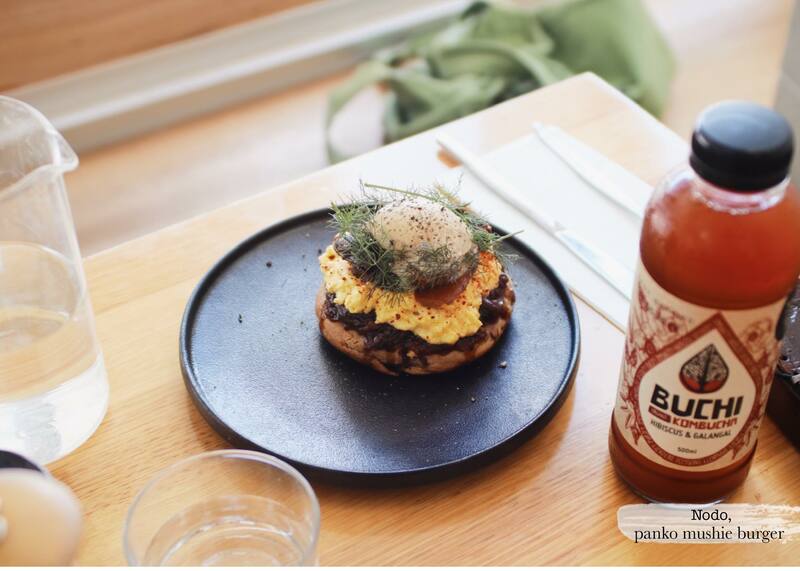 Starting off with stay, I spent a total of a full week in Brisbane at Bunk Brisbane, in fortitude valley with my own apartment space located in a primal location, only a 20 minute walk from CBD or any other hidden gems just a short stroll away. 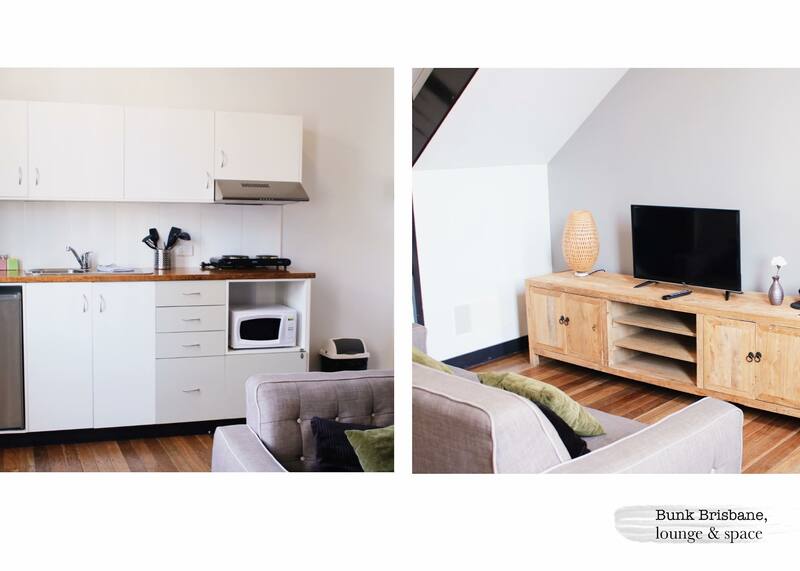 I was blown away with my apartment room in Bunk Brisbane, with high ceilings, open space, personal kitchen and lounge, a double spacious bedroom and upstairs a couple other beds which I didn’t even use because I was traveling alone. But, if you are planning on traveling with a group of friends this is definitely an ideal pick for you. I loved having my personal space to be creative in this space provided by Bunk giving me the freedom to enjoy my alone time yet if I wanted to be social, it’s as easy as heading to their first floor common area with many other travellers are mingling around! I can say there is a reason why it’s awarded Best Hostel in Australia. Bunk Brisbane is styled in the way where vintage glamour meets modern luxury with a mix of accommodation to suit every type of traveler. The kitchen is so well equipped it almost made me want to cook something every day. For those that are more culinarily talented than me lol you can easily whip up a feast here no problem. I did make use of the awesome mini fridge to store my kombucha and chocolates and the teapot each morning as I bring my personal little tea pantry with me when I travel so I felt quite at home sipping my French Eary Grey while working in the lounge! If you are one to love shopping at the markets for fresh local produce and cook up your own meals, I would recommend heading out to Riverside Botanical Market to shop local stalls or if you wanted to order some local fruit & veg, try out Charlies Fruit!! They ship fresh produce strigght to your doorsteps using “ugly” fruits and vegetables that didn’t make it on the grocery store shelves (shame on grocer’s that don’t accept them!) a great way to support local farmers and get fresh produce to stalk up your fridge. Looking to stay active while traveling? I know I love to get my routine in tactic when I’m traveling because I know it makes me feel good, keeping myself healthy even when I’m on the go. 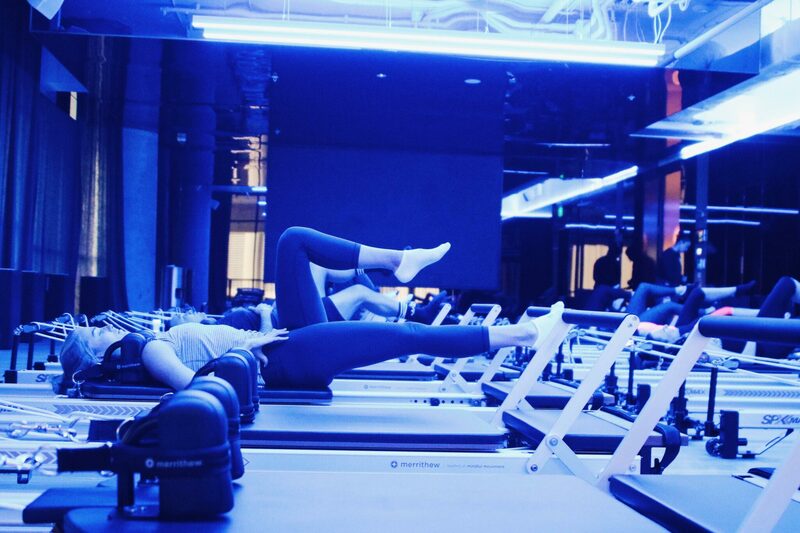 I would highly recommend Total Fusion, a decked out gym (and I mean like insanely beautiful, the kinda places you could spend hours in) for their amazing classes available to get your sweat on; from pilates to boxing, butts guns and abs (DO IT!! ), yoga and so much more. This gym, didn’t really feel like just a gym you know just with your weights, boring boring typical stuff etc etc. This was literally a community hub, workspace, cafe, balcony chill out spot, a lounge, clean washrooms and bathrooms, multiple of fitness classes running every hour, I’m telling you this is a digital nomads dream place. Travelers stopping my Brisbane looking to get back into a routine even on vacation or Aussie locals in the area that want a fitness space that will actually motivate you to lead you’re the healthiest life and reach your fitness goals. Or you might be feeling like doing a dance class, an activity to get your heart rate up in a creative way. Mad Dance House is your choice to let loose and try something new. I had so much fun attending their Hip Hop classes getting my sass on and discovering my new love for Contemporary dancing here. 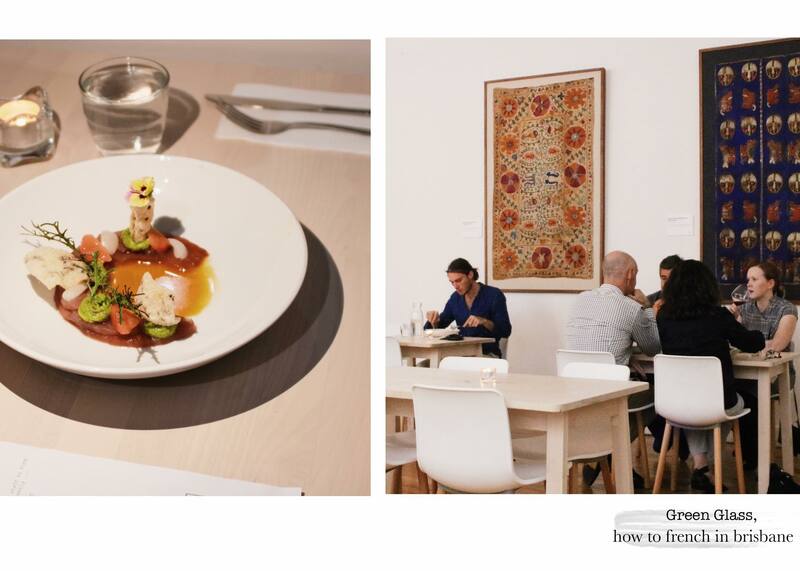 Onwards to Dinner, head out to Green Glass, a local hidden restaurant in central CBD for a glass of wine and a warm bowl of pasta. This French-inspired cuisine has a great atmosphere and lots of space to get cozy in while you wind down perhaps with a new discovery of your soon to be favorite wine, fresh seafood starters, and hearty French mains like gnocchi pasta. Wind down and let go of your day with a pampering session at The Thai Foot Spa. Bringing you in a trance out of the city with the beautiful retreat style shop and soothing music, you’ll instantly feel like your back in Thailand on entrance. I recently came back from a trip to Thailand so being at the Thai Foot Spa reminded me so much of my experience there in such an authentic way. They provided me with the 60 minute Nourishing Spa Pedi, a flute of bubbles and warm tea, and refreshments. Relaxing to the music that I’ve previously heard in Thailand before with a therapeutic foot massage using Thai tools (a wooden like stick Thai massage uses to hit your pressure points) to release any tension in my muscles, and lastly with a beautiful pedicure. I felt so spoiled and loved! !